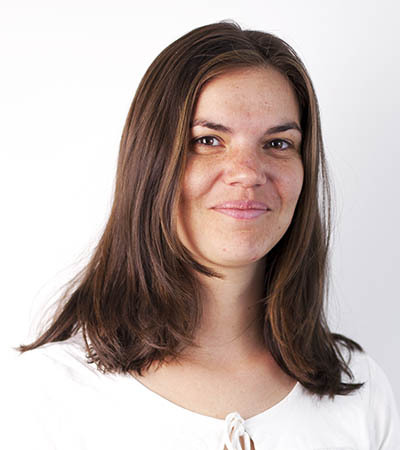 Suellen is a Study Melbourne Ambassador. 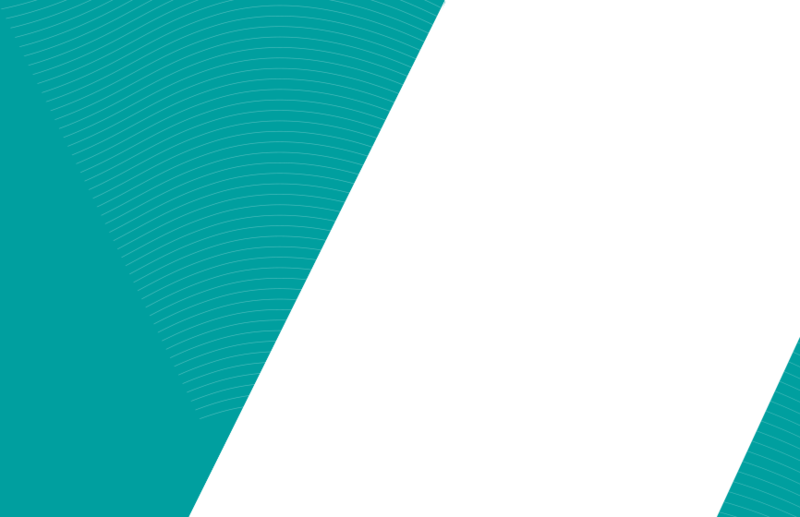 Study Melbourne has 22 international student and alumni ambassadors for 2018. During their time as ambassadors, they regularly share insights and experiences to help international students have a great experience while studying here in Victoria. Check out our Facebook, Instagram and website for their wonderful stories! 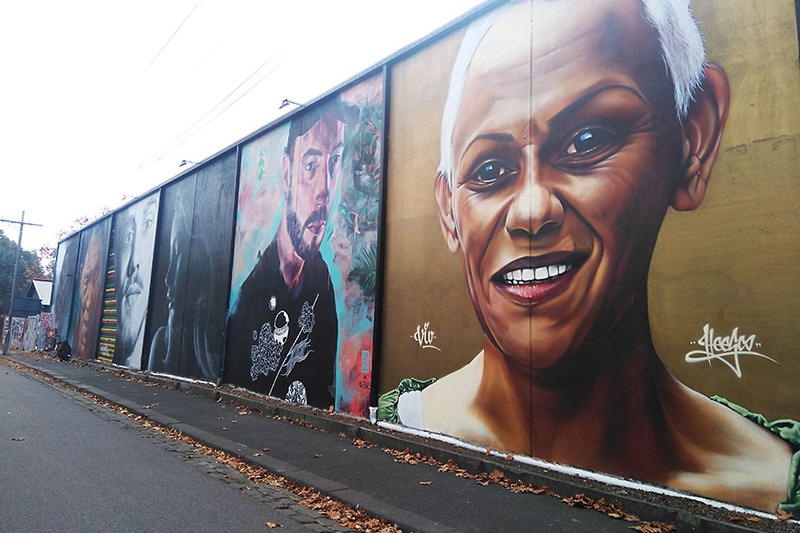 Melbourne is not only known as the street art capital of Australia, but is also noted as one of the greatest places in the world for street art. Hosier Lane and AC/DC Lane are probably the most famous spots for tourists aiming to find the best graffiti wall for a selfie or Instagram post. Both lanes are located in the CBD, which makes it easier to attract public attention. However, if you are willing to take a train, travel to the suburbs and walk for a while, you will be delighted by the splendid art pieces hidden in random corners. 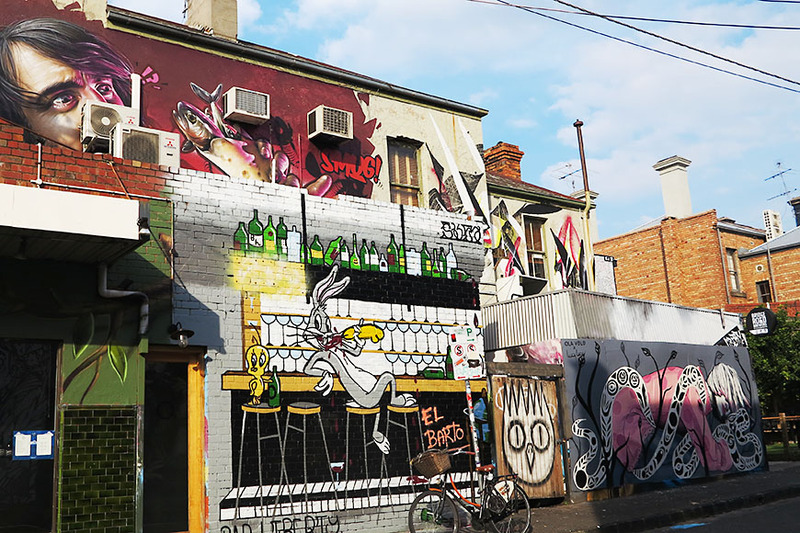 No doubt some of the greatest places to see street art in Melbourne are located in Collingwood and Fitzroy - two vibrant neighbourhoods known for their bars, cafes, nightclubs, restaurants, galleries and, of course, graffiti. 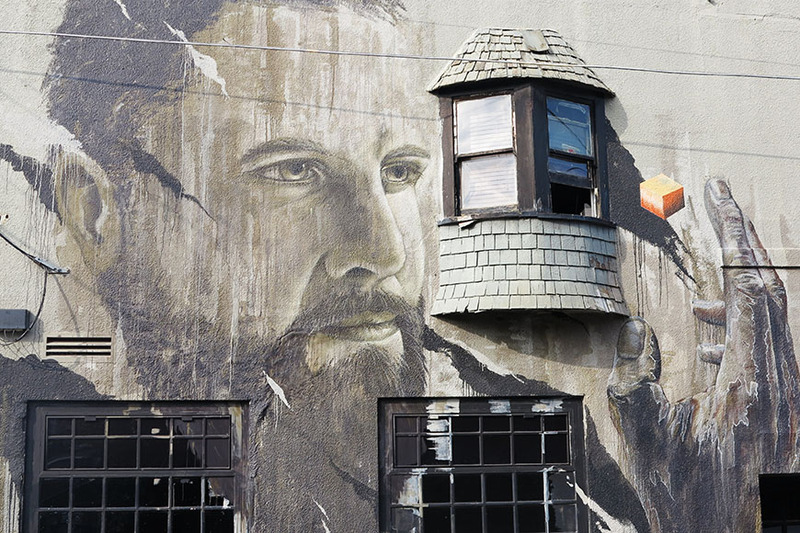 This guide uses the iconic Johnston Street as a starting point to walk you through some of the artworks that make Melbourne famous for street art. You can start your tour at Victoria Park train station (accessed via the South Morang and Hurstbridge lines). From the train station, you will arrive at Johnston Street and walk towards Collingwood. 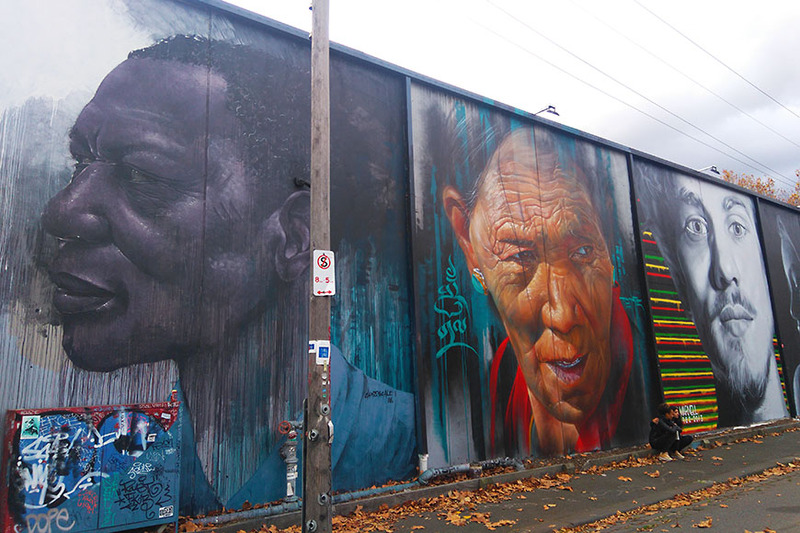 Remember to pay close attention to every street and laneway you walk past, so you don’t miss out on any artworks. 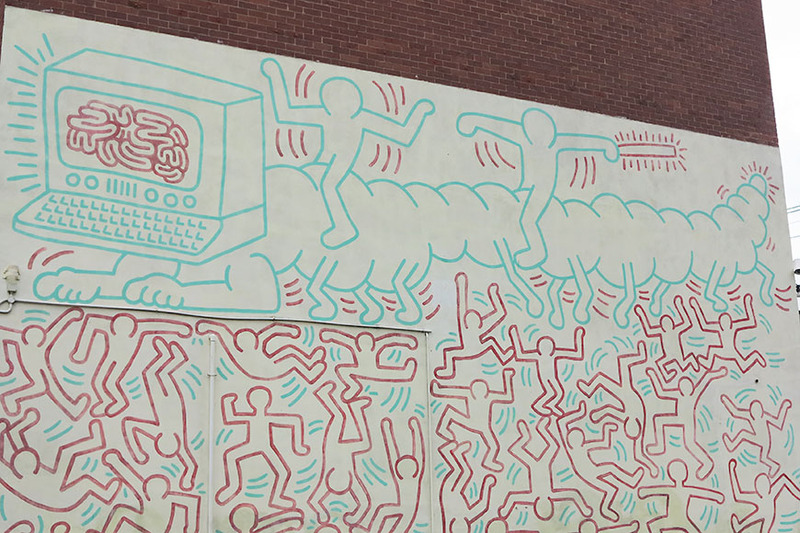 The famous Keith Haring Mural was painted by the New York artist in 1984. 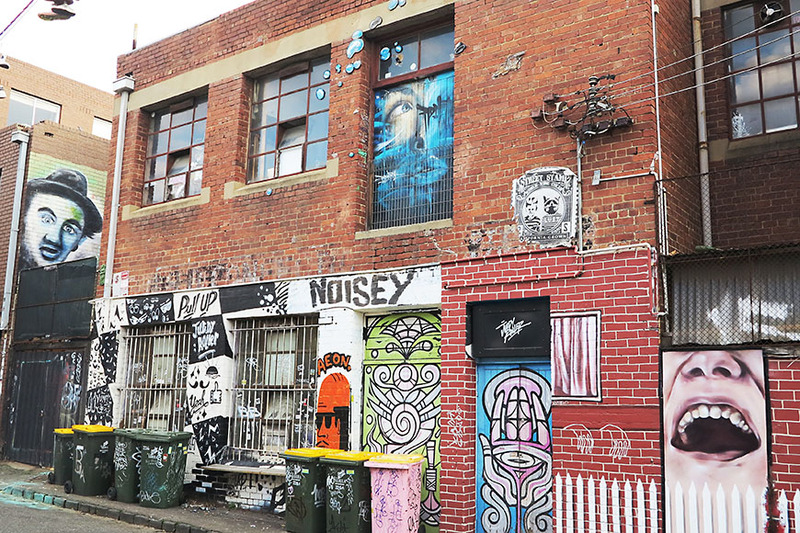 Johnston Street is also home to Juddy Roller, a street art network, responsible for mural projects, curatorial assistance and festival management. 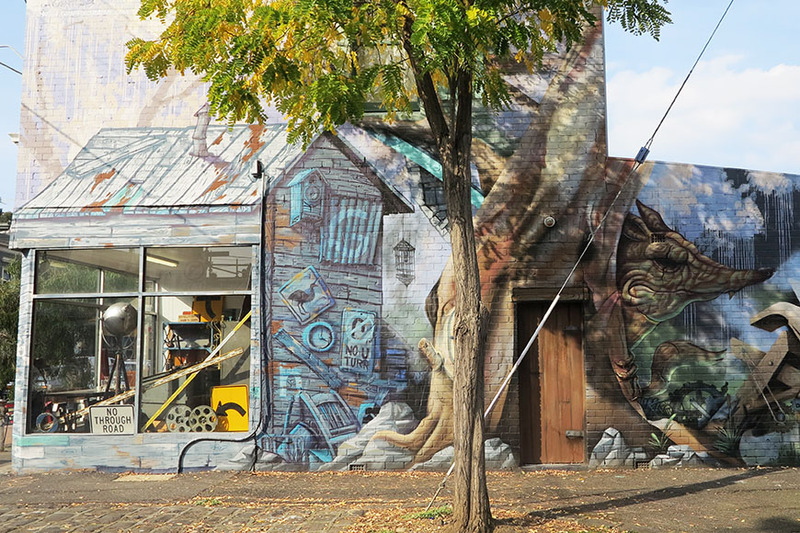 Juddy Roller’s amazing projects include the Wall to Wall Festival in Benalla and Fitzroy Faces in Fitzroy. 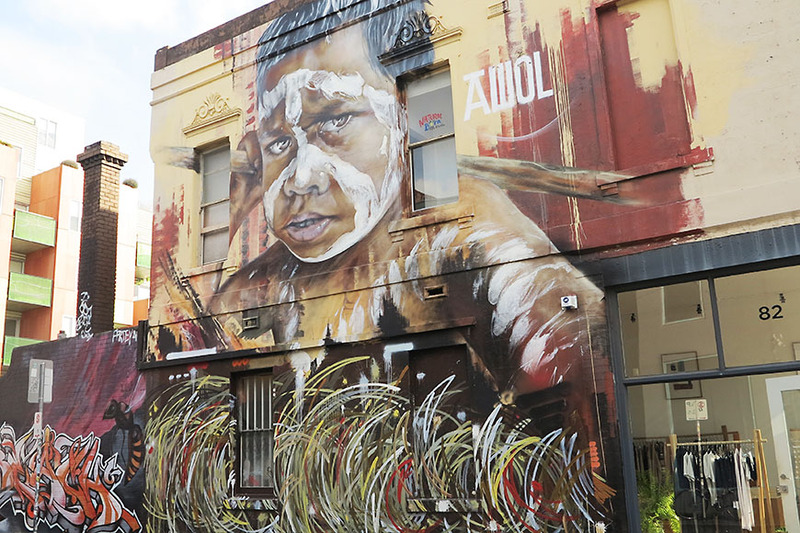 Continuing your walk, you can also find murals representing Indigenous Australians, like this one made by artist Adnate, whose work often has a strong connection with indigenous people. After walking to the end of Johnston Street, you can come back to Smith or Brunswick Street, as they have a huge number of artworks as well. 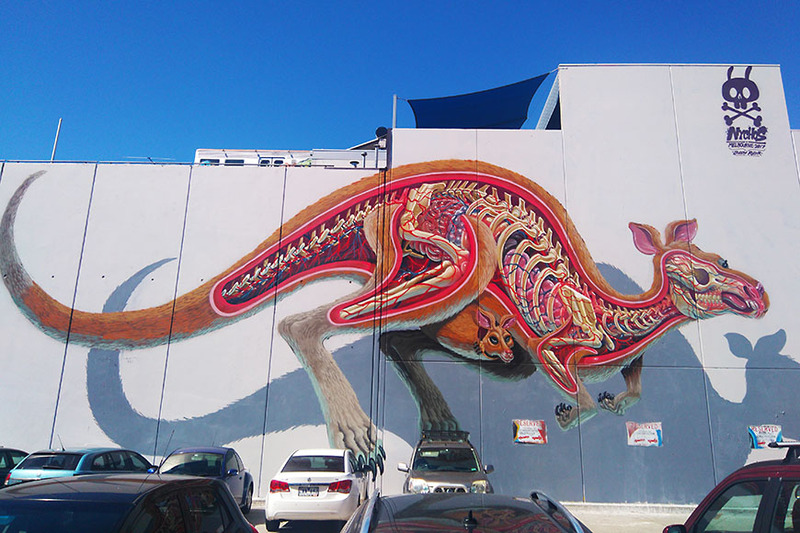 Another two locations you can’t miss it out on are Easey Street, with the ‘Dissection of a Kangaroo’ mural painted by Austrian artist Nychos, and Fitzroy Faces, at Cecil Street, a community-focused project featuring Australian artists such as Adnate, Cam Scale, Dvate, Heesco, Jason Parker, Rone and Sofles. 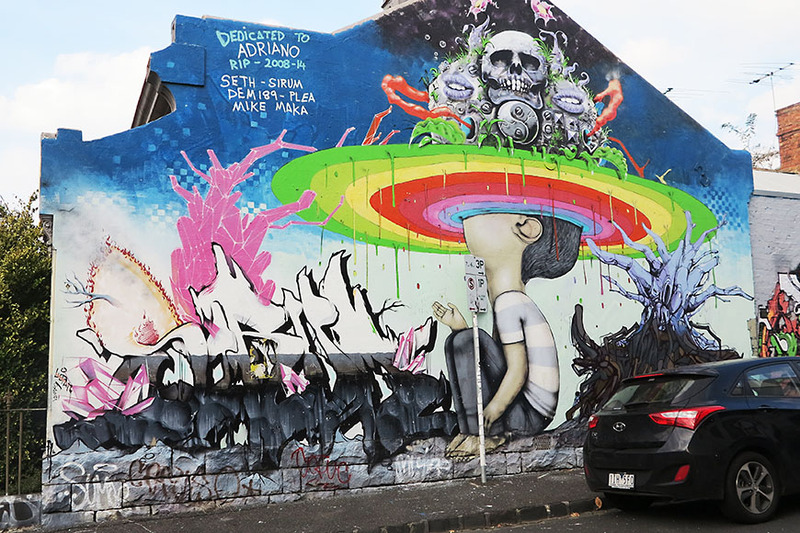 Of course, there is so much street art out there and plenty of amazing pieces to see in Melbourne, but due to the nature of street art, some of the artworks can be different by the time you visit. 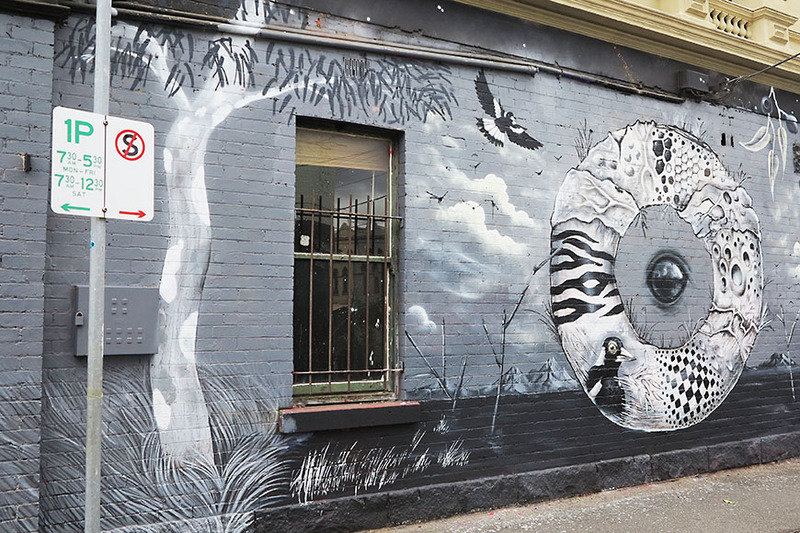 If you like street art, I recommend you pay attention to your surroundings and enjoy exploring new streets and laneways to find your own favourite pieces in Melbourne. Sue describes herself as a curious person, a quality that initiated her want to learn how to speak English in Victoria in the first place. In her spare time, Sue loves to read, explore Melbourne’s laneways and street art, listen to different types of music and make new friends. Meet all the Study Melbourne Student Ambassadors.